Key difference: MPEG-4 is a method of defining compression of audio and visual digital data. MPEG-4 can be used for compression of AV data for web, as used for streaming media, for CD distribution, as well as for voice broadcast television applications. The MP4 is a container format. This means that it can be used to store audio and/or video data. It might seem like MP4 is a shortened form of MPEG-4, however that is not the case. They are two different forms used for different things. MPEG-4 is a method of defining compression of audio and visual digital data. It was introduced in late 1998 by the ISO/IEC Moving Picture Experts Group (MPEG). MPEG-4 was designated as a standard for a group of audio and video coding formats and related technology. MPEG-4 can be used for compression of AV data for web, as used for streaming media, for CD distribution, as well as for voice broadcast television applications. MP4, on the other hand, is based on Apple’s MOV file type. MPEG-4 Part 12 was developed from the Apple’s MOV file and eventually resulted in MPEG-4 Part 14, which is the MP4 format. The MP4 is a container format. This means that it can be used to store audio and/or video data. MP4 video and audio can also be streamed over the internet. MPEG-4 is a video encoding algorithm. It is responsible for how the images are compressed and converted into data. MP4 is actually a container format. And as such, it does not have a standard method of coding the audio or video information. Instead it uses codecs that dictate how the audio or video will be coded. Advanced Audio Coding (AAC) is the most popular codec for compressing audio in MP4 format. 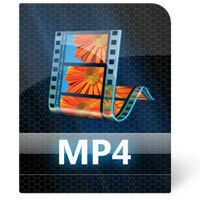 MPEG-4 is a compression format that is used to compress audio and visual digital data on a computer. Comparatively, MP4 is a container format used to store audio and video files. It can even store subtitles for a video file. As a container, MP4 can save audio and video files that have been compressed in different fashions, including as MPEG-4. MP4 is not concerned by how the images are compressed and converted into data. It is just concerned with is how the data for video and audio are stored within the file as well as other relevant information like subtitles, chapters, etc. I have some music files in both formats that I have copied to my Samsung S5 phone. The phone recognizes the MPEG4 files but not the MP4 files. Is there a way to convert the MP4 files to MPEG4? I want by way of thanking you a great many more to make the amznaig site you have got created here. It is loaded with suggestions for brought on really interested in that subject, essentially this very post. Youre really all amznaigly sweet and thoughtful of others and also reading your blog posts is an effective experience my estimation. And such a generous gift! Mary when i will need fun making use of your suggestions using what we will have to do in the future. Our listing is usually a distance long and easily put tips may well be put to excellent use.